I thank my lucky stars, such as they are, that we’ve not been hit by late blight this year, and my heart and stomach go out to all of you disappointed East Coast gardeners. It has been wacky weather all around, hasn’t it? Our spring and summer have been cool and very, very dry. While this means I simply water more than usual, and things are slower, it also means we have a lot less to worry about as far as insect pests in the garden. So…there’s an upside after all! Normally by mid- to late July we’re battling air squadrons of Japanese beetles, but it’s an off year for them. I’ve picked a few off the grapes and our one wisteria tree looks like Spring Break, it’s so covered with the things, but honestly there’ve been too few of them to really call them “pests.” (The wisteria disagrees.) Bean beetles and potato bugs are likewise no-shows. This is not the case for all insects, however. It’s been a banner year for tomato hornworms. Luckily, I have a skilled hunter to help find them, and hungry chickens to help eat them. I have never seen a tomato hornworm in our garden and hope I never do. Those green monstrosities look like they could eat a whole plant each in one sitting…yikes. We don’t have any Japanese beetles either, just lots of slugs, aphids, and other nasty little worms. Ants too, what a terrible year for ants. It must be the hot weather. I wish I could see your voracious piranha’s consuming those bugs, lucky birds. El, thank you for feeling our pain, you’re a generous gal but let’s talk about the great photo and the outstanding fashion sense of your model. This shot is a keeper! love the idea of feeding the horn worms to the chickens. I don’t think most people realize that chickens are omnivores. Another reason to change our law here in D.C. and allow chickens. Why cant you have chickens there ? Don’t you love the happy chicken humming when you bring them a bug snack? I had a grub invasion one year, which was made tolerable by the enthusiasm of the peeps, who wiped them out easily. Ugh! I’ve never had the misfortune to come face-to-face with a hornworm and I hope to never have to. I didn’t realize they were quite that big! Yikes! Other than the mysterious affliction that’s…um…afflicting our beans and now our squash (wilting, yellowing, withering) I haven’t spotted too many bugs this year. Lots of cabbage worms earlier, and we have seen some japanese beetles…but it’s the ants in the house that have me going crazy 🙂 that and the yellowjackets that we just had evicted from our drywall…. The beetles seem a bit better here too this year. Our resident bug guy seems to think the initial surge may have passed, thank goodness. I hope he’s right! I do take pleasure in knocking them into a bucket and feeding them to my chickens! We do have a ton of cucumber beetles this year it seems like, which appear to be vectoring illness into my cucumbers. Sigh. Hopefully they can hang on until I have a few jars worth of pickles! I too am super grateful that we are not having the year that the NE folks are having, it makes a few bugs and some late tomatoes seem meaningless in comparison. Maybe if everyone sends a jar of canned tomatoes East this fall…. Our weather has been crazy too. The coldest, snowiest winter in a long time, followed by a very dry spring, and two days ago we broke the record for hottest day ever, only to break it again yesterday! My garden has been struggling because of it, but at least some things are loving the heat. Oh man! Those have to be the biggest hornworms I’ve ever seen. Gah! I got the shivers just looking at them. I love that photo! It is just perfect! Ohmy… urp. Gah. Urp, urp. Oh my goodness! My heart stopped for a beat when I saw that picture – they are HUGE!! I can’t imagine all the damage they must be able to do to a plant. Yes, late-blight here has done a number on far too many tomato crops, and even those that aren’t completely decimated have taken big hits. I feel so badly for the local farmers who depend on the sale of tomatoes in particular as a large part of their economy for the year. I’ve heard from many that this is just the weirdest year for weather in a long, long time. Wow….it’s a tie between tomato hornworms and those “small water balloons of horror” as to which is worse! No, really….at least the chickens can benefit from the hornworms! (Can you tell, I still chuckle over your description of rotten potatoes)…..
I’ve been working with/against flea beetles, harlequin bugs and red-bordered bugs for five years. This year, there are fewer of them…I attribute this to improved soil quality. There’s also tons of birds hanging around and I’m sure they enjoy these bugs a lot. And those suckers are so huge! They can do a lot of damage overnight…. Ewwww!!!! Really? Are they *all* that big? Yay for the chickens! So far, I’m feeling pretty darn lucky to be living in Oregon… we don’t have any blackflies and I don’t think we’ve got any of those nasty hornworms! We’ve had the opposite bug problem. Not a single hornworm this year here in TN but Japanese beetles by the hoards. Argh those beetles. We did have loads of cabbage worms and flea beetles early in the year. Drat those horrible worms and flea beetles did so much damage! I love her outfit! Such a cutie. My girls would love to find those worms, though I’m glad we haven’t seen any in the garden. Holy moly, if I ever found worms that big in my tomatoes, I’d…well, I’d pretty much have to sell my house. I have never considered myself squeemish about bugs, but I now see I need to re-evaluate that opinion. The tomato hornworm bane was last year for me… before the chicken. They are hard to see, even though they can decimate peppers and tomatoes pretty fast. 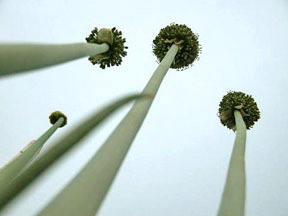 I would up gently shaking the plant and listening for their characteristic click click click noise (that, and the droppings) – and then cut them up. aaarrrgggg!!! Can your huntress come visit? is she as efficient with the stink bugs? My goodness. Those are the biggest hornworms I’ve ever seen. I hear you on the applause for no blight. We are on the east coast, and have fortunately avoided any funk, but I just read a post on someone’s blog who was not so lucky. It is mighty depressing to see an entire crop lost for something that is, for the most part, out of our hands. Somewhere I have a beautiful pic of a hornworm I found on my tomatoes – it was bristling with white pupae of parasitic wasps. Alas, I am neither organized enough to find it nor savvy enough to post it here. I spot hornworms by looking for their poop. Telltale brown pebbles on my (admittedly sad) tomato leaves. So far I have escapes late blight here in MA. We’ve been lucky. This was my first year growing potatoes and i’m amazed that the potato beetles found us – no ones grown potatoes in this neighborhood for at least 40 years. I tried co-planting with beans, which is supposed to repell the beetles. Maybe the beetles were extra hungry?? The bane of my garden existence is brown chafers. The last few rainy springs have helped to drown the grubs, but the darn things still manage to eat all of my most tasty herbs – especially sorrel and basil. Time to head out at night with a flashlight for a little bughunting! Well, Mike, they do some damage but eating the whole plant, nope. The chickies love them, unlike me. Nasty thingies! Randi! Unlike her mother this kid is immensely fashion-savvy. Ed, you should see what the birds eat when they’re free-ranging. I do feel sorry for any amphibian that crosses their path but any rodent? Fair game. Pamela, I swear they know what we’re doing when we walk by their pen with our jars of water. They should, I suppose: de-beetling the wisteria is easy and has (for them) a tasty payoff. Sparow, ah, nature! But yes your bug guy is probably right. They usually peak here at the end of July. It sounds like your squash might have a vine borer: stay tuned, as I have a tutorial on how to get rid of ’em and make your chickens happy. Cheryl, I would think heat was worse than snow or rain! Yuck. Well, here’s wishing you loads of tomatoes and peppers thanks to this weather, eh? And next year: normal weather! Chris, actually we’ve seen bigger hornworms. Not that these were dinky, I’m just saying. Thanks, Linda! She was so excited to feed her birds. Judy, do try to pick them off though. The birds just love them. But yes some years are awfuller than others (though the beetles disagree). Sorry, CC. Hope you weren’t eating when you were reading this! MC, yes, it’s certainly an odd year, weather-wise. And everyone’s prone to complaining about it too, like that helps! But yeah it’s good for some things, which is great if you’re a veggie gardener, not so good if you’re an orchardist or monocrop producer. So, diversify! Petunia, I do a lot to encourage birds in the garden, like leave out two birdbaths and put bird houses around. I figure they can only help. (Netting over the strawberries though because that’s one area I don’t need help.) And flea beetles, well, I just think lacy leaves are a sign of good gardening! Kim, sigh. I have slugs in my cabbages: I just have to hose them off really well before eating. It’s one of those crops I dare not give away, so worried am I that one of my friends will freak on seeing them. But Japanese beetles. On our grapes, we spray with kaolin clay, but haven’t had to this year: it is the only (natural, organic) thing that deters them. Kimberly, it’s a win-win then! Well maybe not for the bugs! But yes, the chickens are so appreciative. And they’re so fun just on their own, you *want* to do things to keep them happy, like pick off nasty hornworms! Lindsay, yes, notice: coat, long-sleeved shirt and JEANS in August, at noon! Wackadoo weather. Fun for bug-catching, though. Your girls would love the task. They tend to have better eyes once they know what they’re looking for, and now it’s “let’s go check” about 2x a day. Much more fun than doing it by yourself! Irma, yes, they are mighty disgusting. It’s why they’re in a bowl and not our hands, surely! Sylvie, well, yeah, I have her hunting for squash bugs and their eggs too. She prefers gloves for that task (as do I). But yes, hornworms, nasty! They are so hard to see. The girl looks for their poop, which is huge, so…just keep searching ’til you find the hungry bugger. Kelly, hopefully you were able to get tomatoes in! I have been admiring your progress at the new digs. Trellises, yay. Any chickens allowed in Bethlehem? Karen, yeah, we’d have left them alone if they had the wasp eggs on it. Which is a really disgusting thing all on its own: I blogged about it a couple of years back, ick. What’s really gross? This is the third haul in 3 days of looking, about 5-6 hornworms a day. And I find that surprising about the potato bugs. Knock wood, we don’t have them…and I had to google “brown chafer bugs” and yeah I have seen them too but haven’t had much damage from them, though the chickens would love them too I am sure! We have tabacco hornworms. Virtually the same critter but with red “tails”. The moths are huge and beautiful night flyers. They are attracted to tobacco, nicotiana. In the same family as tomatoes, petunias, peppers, eggplant, nightshade, etc. This year I tried planting basil and marigolds with my tomatoes. I even have two huge plants of ‘Peach’ tomatoes in a flower bed with nicotiana (& basil & marigolds) with no hornworms! My wife has a planting of Roma tomatoes with out the advantage of the companion plants and we have been picking off hornworms there. We don’t have chickens, but we do have goldfish that love worms and grubs. I planted marigolds at the ends of my potato rows and only had a few potato bugs in the middle of the 30′ rows.